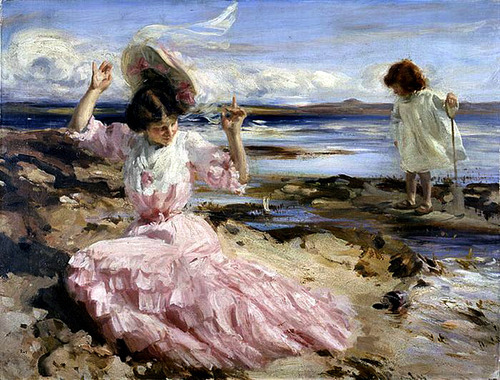 I picked Charles Sims because I love the brush strokes and the pink in the woman’s dress. I can almost feel the spring / summer breeze. Your thoughts?